Entertainment Weekly has exclusively revealed a first look photo of the upcoming second season of The Gifted. After a 6 month time jump, per EW, the season begins with Polaris about to give birth. Emma Dumont feels "very honored to be part of Marvel history in this way. It’s super cool!" to be showcasing the first Marvel mutant pregnancy/delivery. 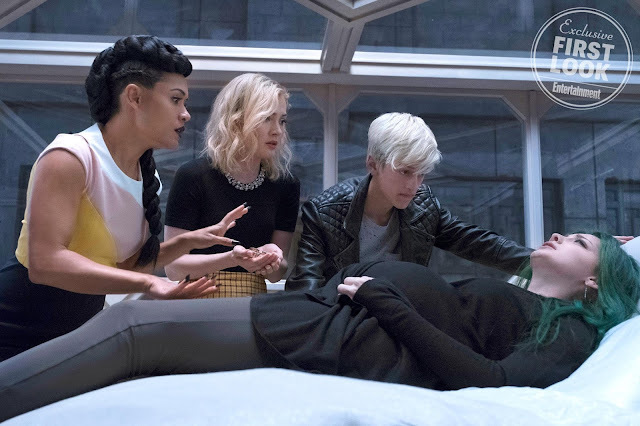 The same goes for Polaris and the Frost sisters (Skyler Samuels) — “The triplets and Polaris are not friends,” Dumont says — but Andy Strucker (Percy Hynes White) and his new hairdo has become an unlikely ally. “Polaris has actually grown really close with Andy,” Dumont explains. “They see each other as the only people they can trust in this situation… Polaris definitely takes on a mentorship role with Andy.” Old habits for former Mutant Underground leaders die hard, it seems. 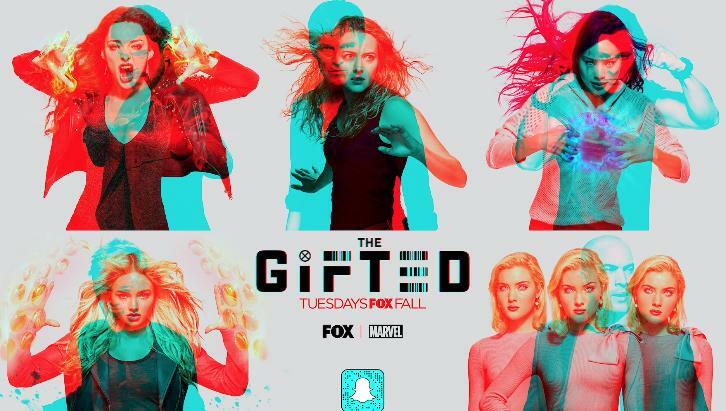 IGN has exclusively revealed Season 2 character artwork for FOX's upcoming second season of The Gifted just in time for San Diego Comic-Con 2018. The images represent the duality of the new season. Season 2 will explore these two factions - the Mutant Underground (which includes Blink, Thunderbird, Eclipse, Lauren, Reed, and Caitlin) and the Hellfire Club's Inner Circle (Polaris, the Frost Sisters, Andy, and Season 2 newcomer Reeva, played by Grace Byers) - and their differing approaches to fighting for mutant rights.